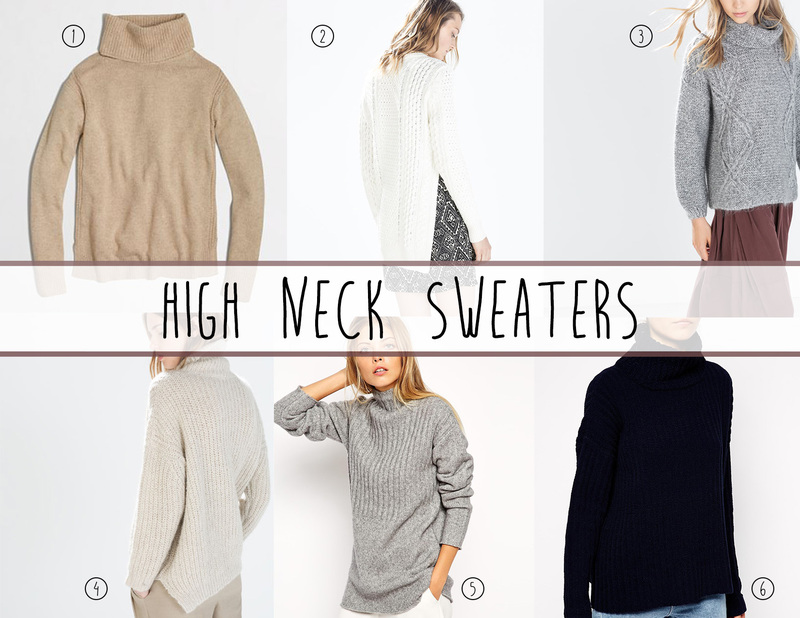 Cold weather calls for chunky sweaters, and recently I especially love the ones with interesting high neckline. Keeping the neck warm is tricky, you either have to have a nice big scarf, or something in the line of a turtleneck which reminds us of one of the outfits from one of the characters from “That ’70s Show” and makes you cringe just thinking about it. But this year I’m seeing the high neck style sweaters making a comeback, and it’s a good one. I’ve picked out a few that looks to be super cozy knits for the cold weather, they will be great layering pieces for wearing over a collared shirt for the high neckline, or wearing over a dress or skinny jeans for the chunky turtlenecks. J.Crew Factory Warmspun Turtleneck Sweater – Simple and straight forward, I think this style is a perfect staple for the winter, the neck is not too tight but not too loose. Zara Long Cable Stitch Sweater – I usually stray away from sweaters with slits on the side because they’re really just not that practical. But since the slit for this one is not as high as some of the other ones I’ve seen, and with high waist jeans/pants being the trend right now, it’s a good option for adding something interesting to your sweater collection. 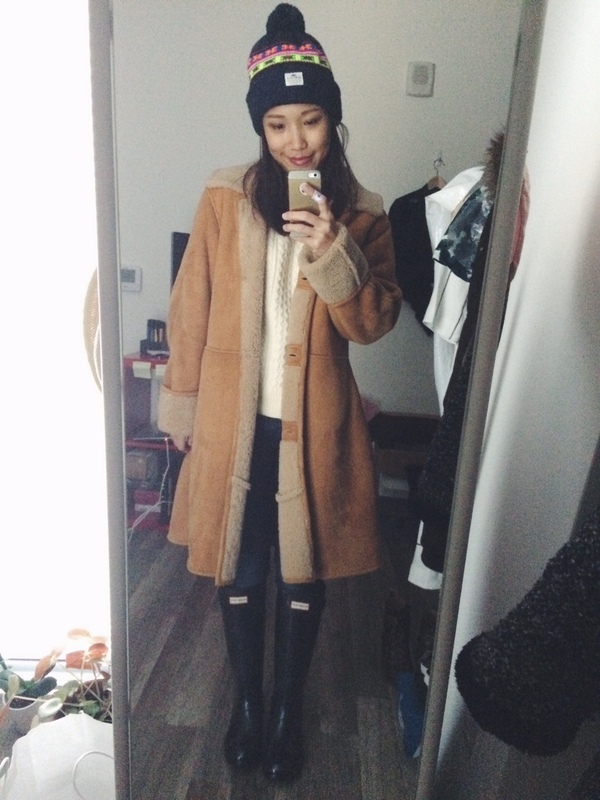 Zara High Neck Cable Knit Sweater – A more fluffy, cute option of the bunch. 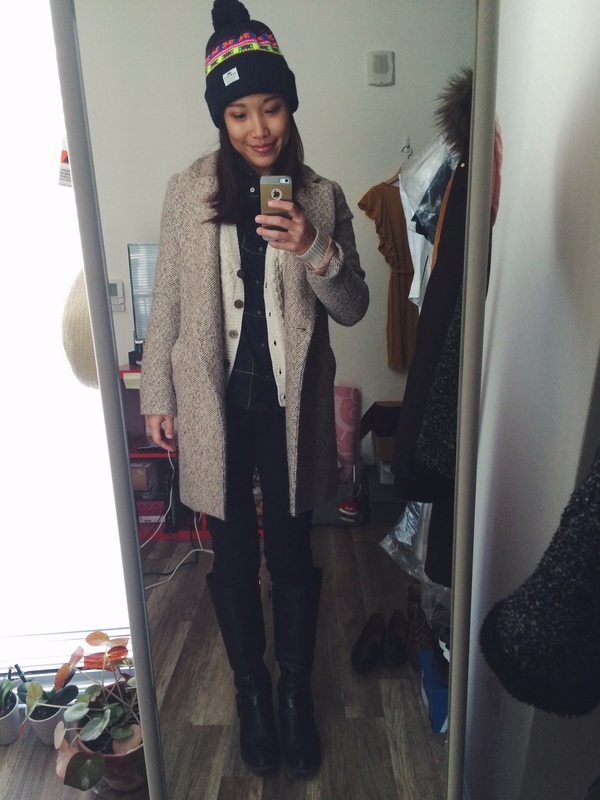 This sweater has a more rounded fit, giving it a more friendly and cozy look. I like the little knit detail on the sweater as it creates some interest. Zara Knit Square Sweater – Another one with the slit, but this one the slit barely touches your hip. I like the neck that’s just long enough to do a fold but short enough you can wear it without folding it down, giving you options to create any look you want. ASOS Chunky Sweater in Rib Stitch with Funnel Neck – The high neck that hits the middle of your neck, I usually don’t really like these as it makes me feel like it’s chocking me, but the style of this one looks cool and I think it could be a cool piece to have as a not so typical staple. ASOS Sweater with High Neck in Chenille – A old school high neck in a beautiful deep navy blue that is dark enough to look more grounded, but not too dark to make you look dull and tired. It’s also a good option as it goes well with all colors.